Posted on March 9, 2016 at 11:13 am. You feeling excited yet? You should. 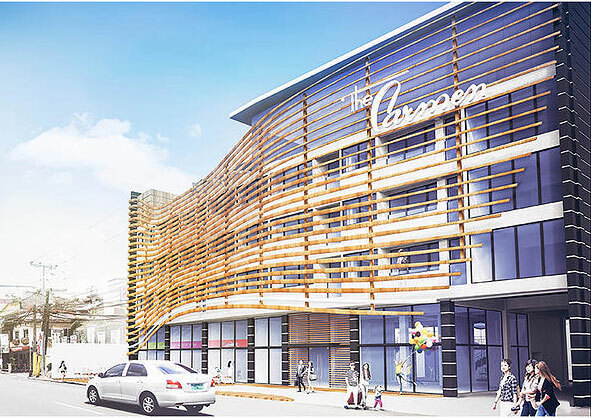 Here are a few of the things you can anticipate from this newest hotel in Naga. The first thing you’ll notice is the hotel’s stylish vibe. Once completed, the hotel’s facade will be made distinct by metal cladding fashioned to evoke the flow of the Naga River. Important note: This is an architect’s drawing of the planned hotel facade. 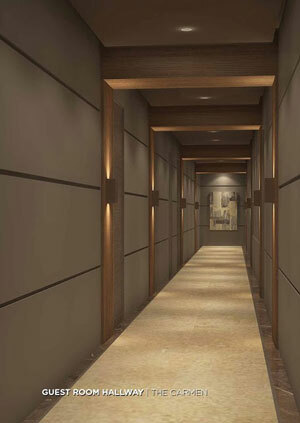 The hotel’s doors will open to a wide and tall lobby, its open lounge concept conveying a feeling of light and space and inviting you to come in and rest inside. Important note: This is an architect’s drawing of the planned hotel lobby with a view of the front desk. 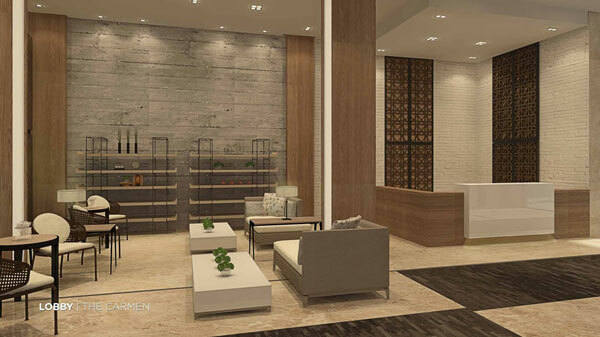 Important note: This is an architect’s drawing of the planned hotel lobby. Every room will look slick and polished, with its modern wall finishing, flooring and furnishings. Like the hotel lobby, the rooms will give off a feeling of light and space, with one wall of the room entirely given up to a floor-to-ceiling glass window that lets the maximum amount of light in, of course with black-out curtains for guests’ comfort and privacy. Important note: This is an architect’s drawing of the suite room. 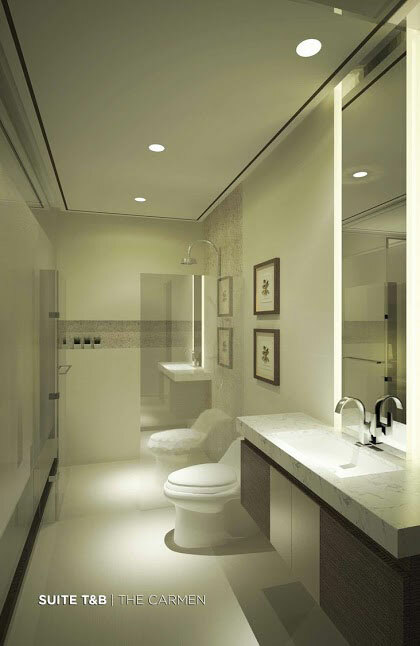 Important note: This is an architect’s drawing of the suite room’s bathroom. And just look at that bathroom! And the modern and contemporary feel is to be reflected everywhere in the hotel. Even in hallways. Important note: These are architect’s drawings of the Carmen Hotel’s hallways. By the way, notice that wooden frame that will be placed in regular intervals across the ceiling of the hallway leading to the function rooms? It exhibits the Solihiya weave pattern – a traditional weave commonly used in the Philippines’, particularly in rattan and other wooden furniture. 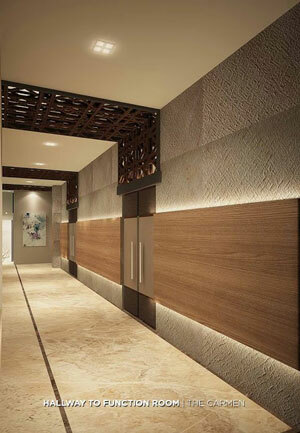 This Solihiya weave is a recurring theme in the hotel’s design; in fact, if you look at the architect’s perspective of the lobby (a few images up), you’ll see the Solihiya weave iterated on the wall behind the front desk as well as the wall adjoining the elevator. 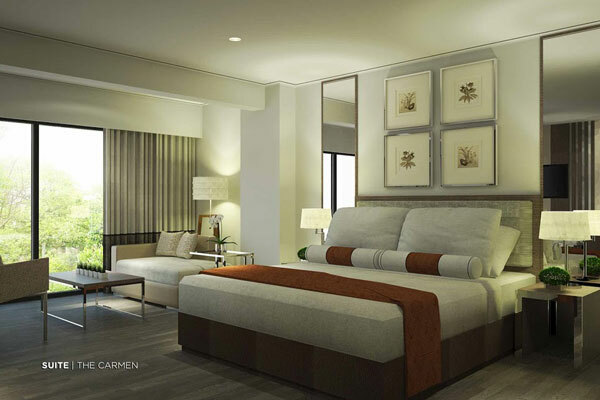 The Carmen Hotel will have a swimming pool, 6 function rooms, and a business center. 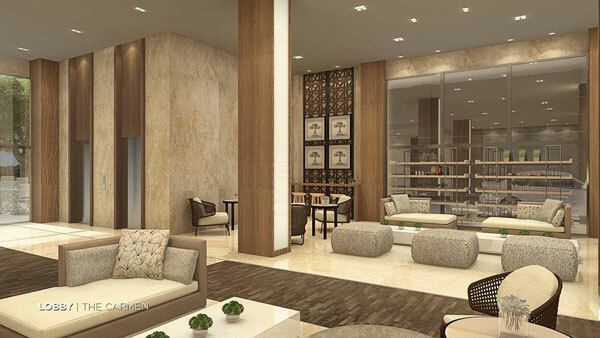 It will also provide concierge services to receive and make guests’ travel arrangements and requests. The swimming pool will be on a raised dais and will have separate areas for adults and kids. So far, The Carmen is the only hotel in Naga Centro that has a swimming pool. Important note: This is an architect’s drawing of the planned hotel swimming pool. There are 6 function rooms, including the outdoor function venue – the Francia function room – located on the hotel roof deck. Just imagine the view from up there. 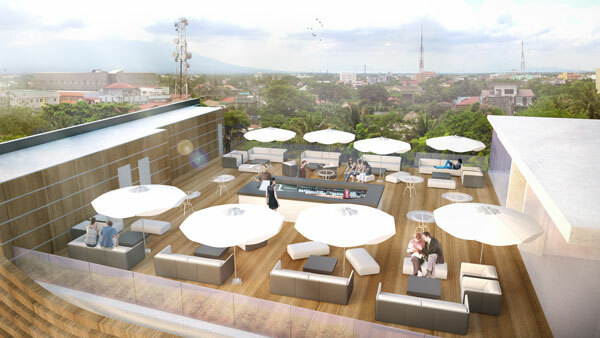 Important note: This is an architect’s drawing of what the hotel roof deck could look like. The Carmen Hotel is on Peñafrancia Avenue, specifically at the old DMG building. And this address brings with it multiple advantages. Peñafrancia Festival – The first and the most important to Our Lady of Peñafrancia devotees is that it sits between the street (Peñafrancia Avenue) and Naga River. This means, stay at the hotel and you can view both the Traslacion and the Fluvial Procession from one place. Public Transportation – Jeepneys pass right in front of the hotel. Tricycles, too. Taxis will have no trouble finding it since it’s on one of Naga’s major thoroughfares. So wherever you wish to go in Naga, The Carmen Hotel simply makes a great base. Amenities and Attractions within Walking Distance – It’s a stone’s throw away from E-Mall and the myriad of restaurants, shops and stores in CBDI. It’s a short walk to the San Francisco Church (and its historic bell tower), Plaza Quince Martires, the Archbishop’s Palace, The Naga City Cathedral, and Il Porta Mariae. And if you’re an events planner or are simply planning your next meeting or social function, you will be very happy with The Carmen Hotel. The hotel has 6 function rooms: Abella, Barlin, Concepcion, Dimasalang, Elias Angeles, and Francia (the names obviously inspired by Naga streets and barangays). More importantly, The Carmen is very flexible when it comes to meetings and events arrangements. It probably is the only hotel in Naga that will let you choose your own caterer. How great is that? And did you know that The Carmen Hotel is being managed by Enable Hospitality Group (EHG)? This Philippines-based hospitality industry specialist is the company behind many prime hotel developments in the country. With EHG at the helm, customer service can be nothing short of excellent. hoe much will be the daily rate? Is the pool area will be open to non guest of the hotel?how much will be the swim charge? Please email cc@thecarmenhotel.com.ph for rates and details. Thanks! I hope they will have ample parking space for their clients since that area is definitely not parking friendly and it will use up public areas again that will cause traffic if not provided by the establishment. From what I could gather, there will be ample parking inside the hotel compound. 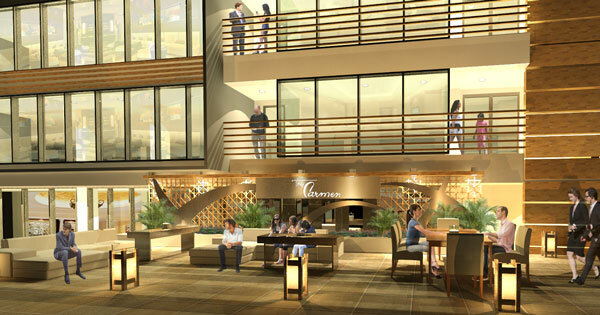 Finally, Naga has a new boutique hotel that will rival others. Location wise, it is centrally located in the heart of Naga. Yes, indeed. Its strategic location is one of the main strengths of this hotel. It is a short walk away from San Francisco Church, Plaza Quince Martires, and the Naga Metropolitan Cathedral – to name a few attractions in the area, but it is still located in the quieter part of Naga Centro.